Remember, at the Law Offices of Makupson & Howard, we treat you as an individual, ensuring that we fully understand your priorities and goals - our advice is always tailored to your specific requirements. 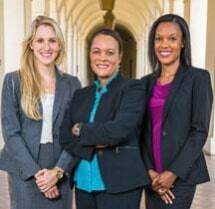 Our attorneys have 30 years' experience of the family law system in California. Between us, we have the confidence to fight with passion for your needs and the interests of your family as you go through divorce or another family law process. When you encounter marital or relationship difficulties, your entire future is at stake. An attorney who is unable to present your strengths as a parent in the best possible light could seriously jeopardize your custody rights. Similarly, if your lawyer fails to scrutinize fully your partner's finances, you could get less alimony than you need. At our law firm, you get the advice and representation you need from sympathetic, supportive and practical attorneys. It's essential. We are committed to helping you reach an amicable solution. It is less upsetting for everyone involved and is often more cost-effective. However when we have to, we will aggressively defend your rights - in court if necessary. Call us now to schedule an appointment or consultation. We are on your side. The Law Offices of Makupson & Howard have an excellent grasp on the family law court system and divorce law. We answer your questions about family law. Attorneys at The Law Offices of Makupson & Howard are sensitive to both the legal and emotional aspects of child support cases. Learn more about your case. There are several phases of the divorce process and it is beneficial to have an experienced advocate who can walk alongside you.